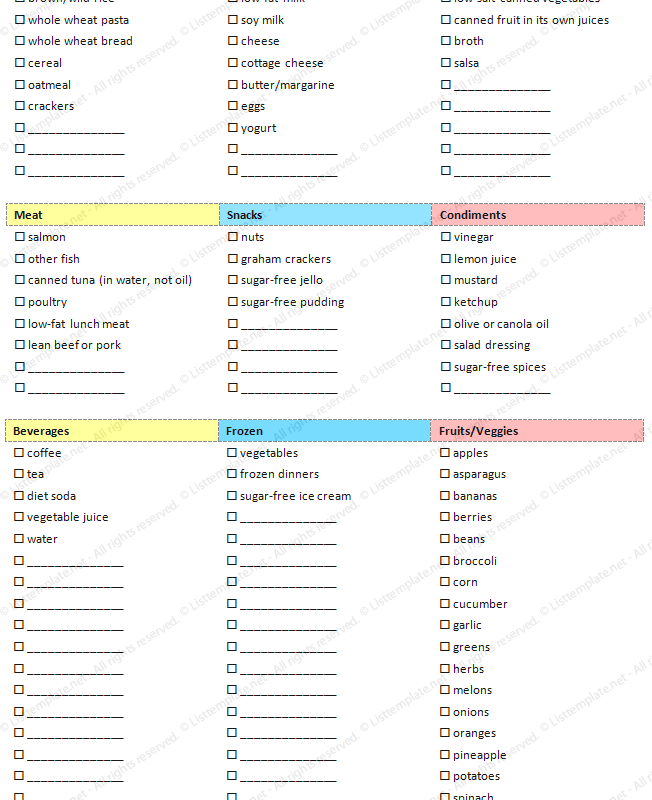 Grocery shopping can become tedious, and creating a grocery list can be a tough task, as well. We are here to help you by offering all kinds of grocery list templates that will make this job easier for you. Created according to the demand of our users, these templates meet the needs of all kinds of people. 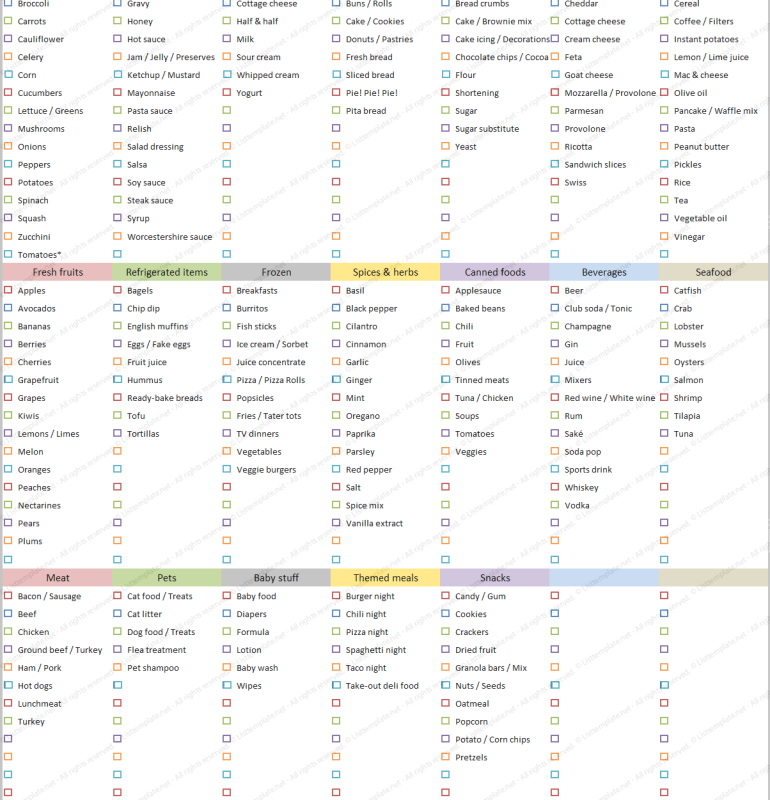 All of these templates can be printed for use on paper and in store, making it easy for you to shop with your own grocery list template. These grocery list templates can be customized to meet whatever needs you may have, and to make them special to you. 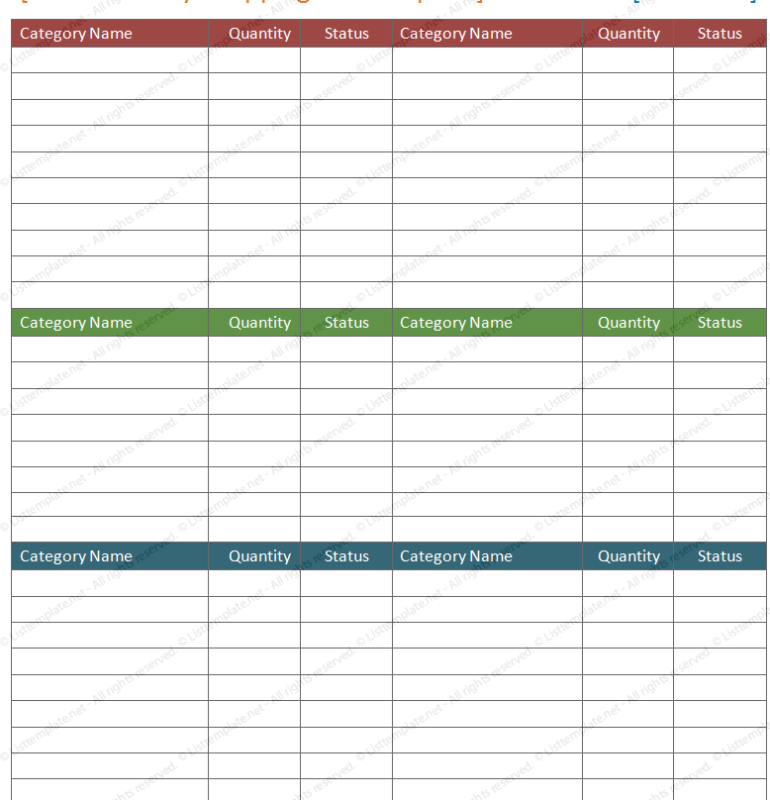 Created in Microsoft® Office, these grocery list templates will help to make your life easier. If you find that we don’t have a template that meets your needs, send us a request and we will be happy to make one that is right for you. 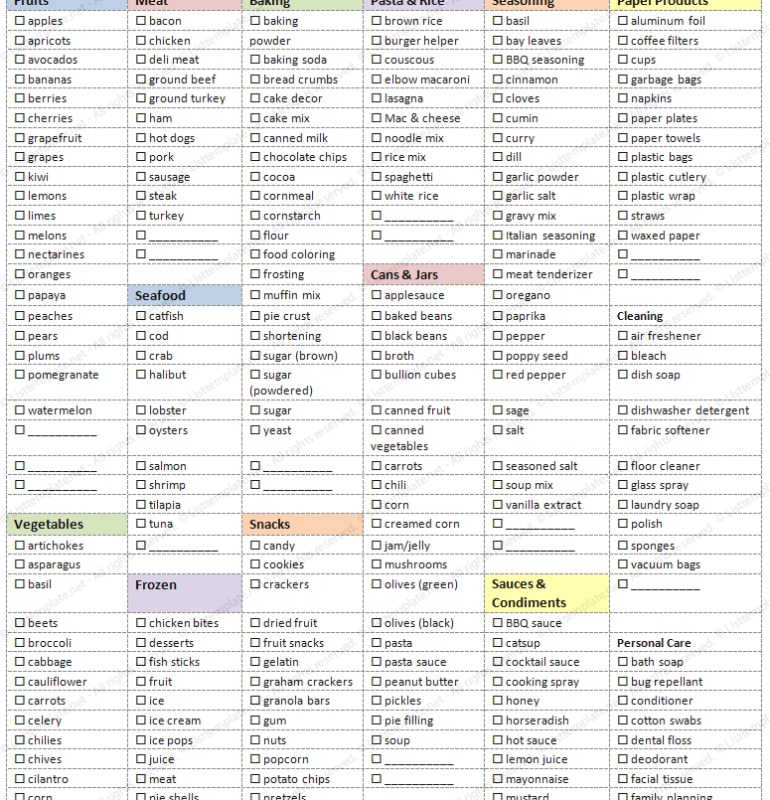 If you find these grocery list templates helpful, please share them on your social media sites and also give us a +1.